SEEKHO is looking for the most passionate, gritty, and innovative changemakers to join a 2 year long Innovation Fellowship! If you are interested in such an experience and would like to learn more click the box below. Movies might just be entertainment for some people, but for others, it’s our form of creativity, our form of expression, and our release from the daily tensions of our life. Many of our students at SEEKHO dream of being actresses, actors, screenwriters, videographers and directors in order to enter that world where anything you think of is possible with hard work and dedication. Film classes started here at SEEKHO one week ago and our students are ecstatic. We are starting off with relaxation exercises for acting, photography lessons, and interviewing techniques. Since everything in life is interconnected, we are also combining our program with the coming of the fellows! Our students' first film task: to make a profile piece on each of our fellows. We are happy to provide our students the opportunity to develop their true talents! Imagination is one of the most fantastic worlds that we can inhabit and the beautiful thing is that it is accessible to everyone. One week ago we started art classes at SEEKHO in an effort to open up the world of creativity to our students. In these past few weeks our students have learned to draw animals: some that they see every day like cows and cats, and others that inhabit a more fantastical realm like elephants and peacocks. Last class one of our students came to bring us a present: a page with animals and fruits that he had taken the time to draw at home. In just the past week, it is amazing to see our students becoming more comfortable with drawing designs of their own and writing stories with protagonists of their own devising. In the months to come, SEEKHO will transform into a nest of creativity, where our students’ ideas and personal imaginative worlds will take physical shape. As SEEKHO will be expanding its focus in the coming months from a purely educational and well-being NGO to encompass other areas of holistic rural development, this fellowship program will be a fantastic opportunity to help SEEKHO continue its phenomenal growth. We have selected 8 fellows from an extremely competitive applicant pool of 35. These highly motivated and accomplished international students from schools such as The University of Pennsylvania, Waterloo University, National University of Singapore, Elon University, Azim Primji University, the India Institute of Technology (IIT), and Princeton University will be joining us on the ground in Bihar for two innovation filled months starting June 1st. They will be working as a fully autonomous team gathering data on existing educational problems while helping to develop processes, models, and metrics for scalability. This incredibly creative and diverse group of fellows will be joining a culture and family that lives by the philosophy 'SEEKHO AUR SIKHAO', which means to learn and to teach. Additionally, we do not believe in hierarchy and as such the fellows will not only have an tremendous amount of freedom with which to take on new projects, but they will also be encouraged to conduct regular workshops where they will impart their own unique skill sets to local changemakers in the community. Let's make amazing things happen! Meet the Summer of 2014 Innovation Fellows! Jason became interested in the Fellowship Program because it combines his interest in education with his experience doing evaluation research. He has no idea what he wants to do with his life, and he hopes that his summer with SEEKHO can provide some guidance. Jason also loves performing arts, and he dances in a latin dance troupe and plays the djembe in a Middle Eastern drum and dance troupe. 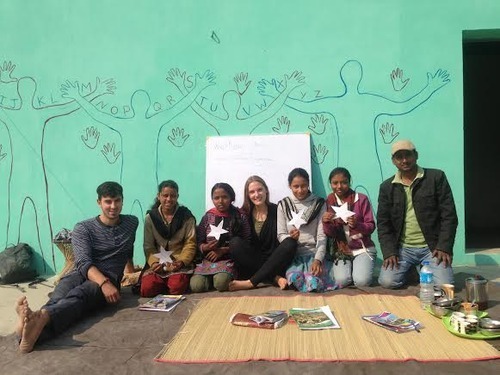 Caley sees her collaboration with SEEKHO as an opportunity to express her gratitude for all that she learned in her previous study in India and hopes that this is the beginning to her career as a social science researcher. When she’s not teaching English or working on education/public health research, Caley is likely enjoying tennis, music, cooking, or the outdoors. Interning at three startups as well as volunteering at Bellevue Hospital has taught Jamie, a pre-med Princeton psychology/neuroscience major, the positive impact teamwork can have on developing innovative projects. He’s looking forward to collaborative creative problem solving with SEEKHO's extraordinary fellows and staff, as well as sharing his hip-hop and soccer interests. But most exciting to him is his anticipation of meeting and working with the children of Bishanpur. Akshay is an aspiring social entrepreneur who seeks to effect grassroots change in the education systems of India. Currently, he is relishing his undergraduate journey at the National University of Singapore where he studies Economics. He has been on a host of international study trips to understand NGOs and development models across Asia. He is also an avid reader and a globe-trotter! Ben is in a Bachelor's program called Knowledge Integration. The program has given him a chance to learn about concepts like design and systems, and what it looks like to enable people from different backgrounds to work together in tackling tough social and environmental problems. Meditation is a big part of his life, and last semester he coached a Community of Practice exploring Mindfulness (Vipassana) meditation. He is pretty easy going and loves to have fun. He is attracted to SEEKHO because the people involved are rockstars, and because the vision of creating self-sustaining cultures of learning is inspiring to him and something he wants to be a part of. An Engineering graduate from BKBIET, Pilani. Post his Engineering he has worked for 2 years in his own village towards Education and Awareness. Currently he is studying Education at Azim Premji University. He has a strong affinity for rural areas (as he himself belongs to one) and wants to explore various areas related to Education, especially community-specific curriculum design. But education is an entirely interdisciplinary field, so he is looking forward for a great experience and very eager to meet everyone in Bishanpur. Parminder is pursuing his M.A. in Development from Azim Premji University. This program has taught him that development is not a one-way road where one dictates that others follow it. The program has taught him to question the whole paradigm of development including who it's for and what is being affected by it. Amazing results from 2nd reading camp! The second batch of our 3-month-long reading camps have just come to an end and, after analyzing the results, we are excited to share promising improvements! For anyone that might be unfamiliar with our educational model, our reading camp is a 3-month program in which our trained teachers conduct basic Hindi literacy and math clinics for 2 hours each day in the government schools. These teachers are trained in SEEKHO's positive psychology curriculum and design thinking modules and use Pratham’s award-winning and empirically backed CAMaL method. They teach basic math and Hindi competencies to below-reading level students in grades 1 through 5 in government schools. The goal of the program is to bring students up to at least a second grade level in math and Hindi, since currently only 47% of fifth graders in India can read at a second grade level. 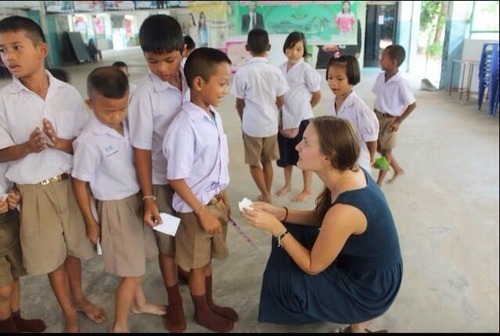 We were looking to build off the tremendous success of our first reading camp held at SEEKHO facilities in 2013, in which we were able to bring roughly 70 students up to the prescribed grade level comprehension. With that being said, we trained 11 additional teachers and expanded beyond SEEKHO facilities to 10 government schools. With this program we were able to reach almost 400 new students. After collecting and analyzing pre-camp and post-camp test results, we are excited to express that we have seen amazing quantitative increases in both Hindi comprehension and Math skills development in our students. The results of the programs are presented and described below. After attending our reading camp, 99% of the students increased their level of mathematics comprehension. Second-grade level comprehension is defined by the Indian government as being able to do simple addition and subtraction. Our data reflects that prior to the reading camp only 65 out of 366 students tested above this level. However, after the reading camp, nearly 200 students tested above this level! This graph reflects the pre and post test for Hindi comprehension. Before attending our reading camps a staggering 42% of the students could not even recognize letters and none could read a paragraph, let alone story. After the reading camps, 85% of our students had made progress and 32% were now capable of reading paragraphs and stories! Six months ago, I relocated to a village called Bishanpur in the rural Kishanganj District, Bihar, in India to serve SEEKHO, the NGO I founded…. My name is Sam Brundrett and I have been working with SEEKHO, in Bihar, since December. This article is on the importance of education and my experience with the organization thus far. SEEKHO’s “on the ground team” at our main facility. If you were to conduct a survey of randomly selected people in the United States and ask them if they thought education was important, there would undoubtedly be little variance in their responses. They would reply quickly and resoundingly, “YES”. But if you were to follow up with the question “what type of education is valuable?” you would receive polarizing responses representing the two following educational philosophies: the vast majority valuing an education founded on teaching hard skills and then a passionate minority who value an education that emphasizes teaching soft, non-cognitive, skills. Does this imbalance effectively represent the importance of the two types of skills? Is an education that emphasizes traditional hard skills, such as engineering, math, and computer skills, better than one that focuses on developing the historically misunderstood non-cognitive, soft skills like creativity, curiosity, confidence, to name a few? The point of this hypothetical survey is not to pit one philosophy against the other. Rather, the point is to illustrate the disproportional and at times rigid dichotomy plaguing our current education system. To ask you to reflect on what aspect of your own education you value most and why that may be. It is easy to understand, from a historical perspective, why soft skills have taken a back seat to hard skills. The areas that are easily measurable and which are backed by years of data are the easiest to focus on and the first to be implemented. Tangible skills appeal to governments, schools, and students alike because of their obvious and almost immediate effect. Yet, in the rush to obtain statistics, the student actually gets left behind. The student’s success is measured by grades and exams and it is assumed that this measure of academic success means they are equipped to overcome all of life’s obstacles. However, this is not the case. Fortunately though, there is a growing paradigm shift in education towards understanding and focusing on those non-cognitive skills that were once thought to be impossible to measure and therefore teach. In recent years, countries such as Australia and the United States have begun to pioneer this paradigm shift. They are slowly becoming places where the importance of teaching soft skills is no longer dependent on passionate anecdotes and gritty success stories. Through years of research, we have finally begun to understand the importance of soft skills and have, at least in part, figured out methods in which to foster them. Schools like the Geelong Grammar School in Australia and KIPP Charter Schools in the U.S. were among the first to champion a soft skills based curriculum but they are not alone — today many other educational institutions are engaging in the same paradigm shift, resulting in a growing number of students that understand and embody concepts such as curiosity and resilience. Educators at schools like Geelong Grammar and KIPP schools have begun to realize that hard and soft skills do not work in isolation rather; the two sets of skills are complementary. In fact, studies have found that students, who are taught soft skills, consistently outperform their peers, who have not learned such skills, on traditional academic work. However, these institutions still remain the minority and in many impoverished communities around the world, the problem persists. As a result, children within this community experience an incredible amount of social discrimination, ultimately influencing how they view their own abilities. We have found time and time again that students do not come to school because they do not think they are capable of learning. When we ask children if they want to learn to write their name, bystanders and frequently their own teachers, those responsible for teaching them, respond unemotionally with, “Don’t waste your time, they won’t be able to”. This psychological abuse is then reinforced as they begin attending school. Children that are born into lower castes are assumed to be “unteachable”. Even those that have had the good fortune to be born into a somewhat higher caste are taught by apathetic teachers, in the off chance the teacher shows up, that enforce rote learning with yes or no, right or wrong answers. While in the classroom, students are discouraged from asking question, often being beaten with a bamboo rod for wrong answers or “acting out”. The school system has one objective: yearly input improvements such as the number of facilities or attendance rates. Unfortunately, this has resulted in incredibly pervasive corruption in the form of bribery and statistical inflation: effectively eliminating the potential for aid to reach the necessary children. Assuming that soft skills will either be taught at home, where in many underserved communities the parents are not as present in their children’s education, or that focusing on them is a waste of time, is naïve. Instead, it is more important than ever that we as educators address the psychological barriers that prevent children from learning and develop programs that effectively foster non-cognitive skills in our students. My role within the organization is to teach English, analyze program impact, and manage the organization’s finances. I teach English to two groups of students, ages 10-17, whose English abilities range from nothing to basic sentences. As a teacher, I adapt curriculum provided to us by third party educational institutions as well as develop my own. Even before beginning to analyze the impact of our programs and from my first few days in Bishanpur, the absence of soft skills in many of my students has been alarming. They not only lack the confidence to express themselves, or the resilience to try again after failing, they lack a sense of curiosity, which I had previously believed to be innate. I am now in the process of identifying ways of removing their fear of punishment, embarrassment, or shame that they feel while in the classroom. As a result, for the past few weeks, I have been trying to integrate activities that focus on developing skills such confidence, creativity, and critical thinking all the while reflecting, with new found appreciation, on how the schools I attended were always able to find interactive and engaging ways to cultivate soft skills in their students. To date, my attempts at integration have been met with relentless resistance. However, it has been this resistance that has allowed me to gain real insight into the problem. What’s more, the progress that my students do make, however small, elicits that much more excitement and seems that much more significant and lasting. Living in this community, I have begun to realize exactly how much of my own education I had taken for granted. I have been fortunate enough to attend schools where a premium is placed on these underappreciated non-cognitive, character skills. During high school, at Millbrook, and in college, at Gettysburg College, I found myself exposed to an almost overwhelming amount of resources and information. I was immersed in environments where the importance of asking questions was never in doubt and where I was able to develop in ways I have only recently begun to realize and appreciate. For me, school was a place where I was encouraged at every corner to seek out the help of amazingly patient, compassionate, and knowledgeable teachers. Teachers who found endless ways of sparking my interest and keeping me engaged and attentive, at times when I was almost certainly being a stubborn and obnoxious adolescent. Ultimately, my education has engendered an invaluable sense of curiosity and confidence within me that has manifested itself in deciding to spend a year in rural India. For this opportunity I am eternally grateful. An education is commonly referred to as one of the most influential periods in a person’s life. If this is the case then we as educators, parents, family members, and citizens of the world need to demand a better education for our youth and it starts by addressing the psychological factors preventing children from reaching their full potential. This problem is not an isolated one and by no means is it specific to rural India. Simply providing children with an education is not enough. We must prepare our students to face an ever-changing world with a rapidly growing population. To do this though, children need to be well equipped with the necessary soft skills in order to take advantage of the opportunities that come their way. The evidence is in front of us and there is little reason not to act on it. The movement has started and it is now our responsibility to take the torch and fan the flames. Well-being training with SEEKHO volunteers! Since my arrival one month ago, our SEEKHO well-being program has seen incredible progress. In just one month we have already measured the baseline well-being for four government schools as well as our SEEKHO volunteer team. These baseline measures will give us a better understanding of where the schools are at, and also serve as a valuable way to track the effects of our well-being trainings. Our well-being trainings have been disseminated to three distinct groups in order to cultivate a holistic shift in school culture. The first group to receive well-being training are the six SEEKHO employees. Over the course of one month, I have taught positive psychology concepts such as growth mindset, character strengths, active constructive responding, SMART goals, and gratitude. We have held nightly trainings three times a week to ensure that the employees are understanding and integrating these concepts into their lives and also their interactions with the students. 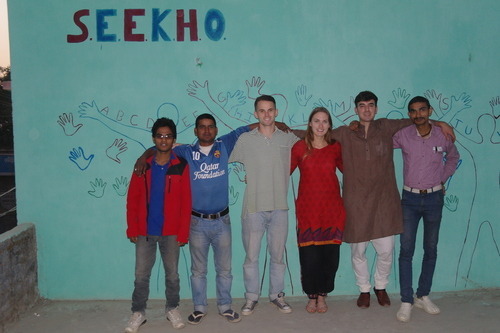 Our first pilot program started three weeks ago with the SEEKHO volunteers. This first training is being held three times a week for one hour sessions with four volunteers. Together we have embarked on a journey to understanding and increasing our well-being, as well as the well-being of our schools and communities. The initial program has been received extremely well by the students and will be delivered to all our SEEKHO volunteers by the end of April. In addition to all of this, we have also started well-being trainings with government teachers. This program will continue to expand and develop over the next coming months. Finally, we have integrated mindfulness and meditation into our new morning assemblies with the SEEKHO volunteers. Every morning at 8am the students all gather in our main classroom room for meditation. In the beginning we started with only two minute meditations, during which many of the students were fidgeting and laughing. However, after only two weeks of meditation we are already up to ten minute sessions of complete silence! It has been a busy first month in Bishanpur, and despite the various obstacles and adjustments we are extremely grateful for the progress that we have already seen in the students and teachers. We look forward to another month of productivity, learning, and of course, well-being. Make “career goals” more synonymous with “life goals”. In a fulfilled life, the two should never be mutually exclusive. Rationalization is a sign for change. When you have to continually justify to yourself why you’re doing what you’re doing, maybe it’s time to take the risk you never took because you were too scared of what would happen if you did. Stop crafting your life narrative in reverse. Instead of taking steps that assure reaching a validated end-goal, take steps that bring meaning to each day. This way, the sum total of fulfilled moments in your life aggregate to something significant, even if you end up somewhere you never thought you’d be. Creating social value does not and should be defined exclusively as service to the poorest of the poor. Social impact, as I’ve defined it after my India trip, is something that begins with social consciousness. If we can actively frame our thinking and behavior with mindsets more acutely tuned to what exists beyond the standard bottom line metric, to the point that concern for collective well-being becomes a norm, we are already engaging in meaningful work in the social impact space. While packing our bags and heading to resource-starved rural landscapes can undoubtedly breathe rare perspective and vitality into our living, this sort of behavior is in no way a prerequisite in becoming more thoughtful, empathetic, and giving people. Bill Clinton wrote a short book, more of a manual, called Giving, in which he collects many macro but also micro-level efforts of generosity that have transformed communities for the better. It’s worth skimming at the least to understand that you don’t need a plane ticket, physical grit, and firsthand access to poverty to make a difference. Rather, by making a day-to-day commitment to infuse love, positive energy, and even basic giving into the lives of those around us, we can become enriched individuals who thrive in more fulfilled societies rooted in compassion. Every, single one of us is capable of this regardless of where we live, how busy we are, or how much money we have. The world doesn’t need more cynics. While I am not discrediting certain forms of cynicism as hypothetically constructive to keep people grounded, when it comes to tangible social development, or for that matter, anything driven by an innate belief in improving humanity, cynicism kills drive, it kills risk-taking, and it most awfully kills faith, which is what I have over the last month discovered is most imperative to the success of any vision of meaning, no matter how farfetched. Faith in who you are serving, why you are serving them, and an unwillingness to ever draw a finish line to giving is what allows passionate people to fulfill objectives that, at their onset, often seem like pipedreams. I have found that while this faith is very much internally derived, it is also incubated by teams of dreamers who share common visions but approach them with uncommon strategies, which creates a dynamic where no one individual’s reservations is enough to pull a whole dream down. Where do you find that team? Values. If you unite with people not because of where they work, how much money they have, or how likely they are to do things for you but rather because of a shared value base, there is little in the moral compass of your shared vision that you will end up regretting. Values are the glue of all relationships, but especially relationships that in some way leverage kindness, empathy, and social good. You can go wrong in logistics and operations, but if you share a core value system with the people you work with, what will rarely go wrong is the heart of what you do. As long as there’s heart, there will be never be failure. The final point I’d like to bring up is one addressed by my uncle while we were in Calcutta on the way to Bihar. He told me something not a single person has told me in my life: “For the first few years of your career, take a job that makes you just a little bit of money, enough to handle your basics, but not too much to get used a level of living that becomes impossible to leave afterwards.” This is hands down the most valuable piece of advice I’ve ever received, and will, I’m sure, be something I always reference to keep myself attached to what I believe in. So close your eyes and ask yourself: Is what I want to do next more inherently valuable to me than what I’m doing now? If the answer is yes, and makes your heart pound just a little harder than it just was, embrace what your soul is telling you and live life in forward. As my year in graduate school wound down, I began to again face the burdens of reality – finding a job. I had completed my Masters degree in Applied Positive Psychology, but it soon became apparent that no one was hiring a “positive psychologist”. I felt my skills were so relevant for any field, but no company could quite understand what I had offer to their employees. I was empowered by my education at Penn but discouraged by the lack of opportunities to apply my knowledge in the world. The more I searched for a job, the less certain I became of what the next year would hold for me. During my time at Penn I had been working in the Positive Psychology Center on a host of research projects. I began working with Alejandro Adler, PhD Candidate, on his work in education for well-being in Bhutan and Nepal. This work took me to Nepal last February to train teachers in positive psychology concepts that could increase the well-being of students. This work engaged me, I felt a true sense of meaning and purpose when I was working for Alejandro but I couldn’t see how this work could translate into a job for the next year. It was then that I met Zubin in late April at a dingy and utterly delicious India restaurant in West Philadelphia and had a lunch that shaped the course of my future. Zubin had founded S.E.E.K.H.O, an NGO in Bihar, India, to empower local communities and revolutionize the educational system. Over naan and tikka masla, Zubin and I created an outline that could increase S.E.E.K.H.O’s impact by incorporating positive psychology principles. As I left lunch that day I knew that I had found the perfect way to incorporate my passion for positive psychology into tangible positive change in the world. Since our first meeting, I have joined together with a team of amazing people — Jason House, Arpit Shah, Siddhi Sundar, Alejandro Adler, Ankit Shah, Sam Brundrett, Darryle Ulama — to create a culture of well-being that will empower rural communities in India. Come January I will be moving to Bihar to train teachers in a well-being curriculum based on gratitude, mindfulness, strengths, and building positive relationships. But to create this movement, we need to plant some serious seeds. We’re training teachers. We’re involving the youth of India. We’re bringing computers to the village. We’re building libraries and learning centers. We’re changing things to make way for bigger change very soon. And we’re already seeing results. So far, we’ve already successfully given 600 dropout students the means to become literate and numerate—but more importantly, the confidence to want to start attending school again. In high school, I resented what felt at the time like unnatural attempts to inculcate us with a set of values that the school firmly believed in. Even if I believed in service, diversity, and intercultural dialogue, the workshops and lectures that Hotchkiss arranged and put us through always felt forced, which ended up accomplishing the opposite—namely many students would check out of the activities—rather than deep engagement and learning. For that reason, I can only remember one speaker from Hotchkiss, but he ended up changing my life. Patrick Cook-Deegan, a 23 year old recent graduate of Brown University, came to speak to us about how he had biked all across Southeast Asia. For every mile he rode, he got friends and family to pledge a dollar amount. He ended up biking 2,800 miles, which allowed him to raise $22,500 to build a school, library, and to provide scholarships to a number of students in rural Laos. While the journey itself as incredible – the dedication, the passion, and the relationships built – that’s not what set him apart. 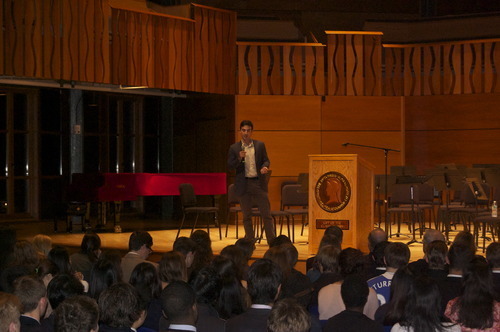 Like I said, I can’t remember any other speakers from my time at Hotchkiss, but I’ve looked at the profiles of some of the other speakers they’ve had recently, and they also have accomplished unbelievable things. What set Patrick apart was his relatability. Part of that was an age thing, but the more important aspect was his ability to convey a story in language that made sense to an angsty teenage audience. He showed vulnerability, was funny, and used metaphors that we could relate to. Up until that point, I hadn’t been particularly motivated while at Hotchkiss. However, the fact that Patrick was highly relatable made me feel like I could do something similar. I thought about his experience in the context of my own story and started recalling the pain I felt on trips to India, in which I saw people suffering from physical ailments and hunger as a result of socioeconomic deprivation. Combining these two thoughts, I decided to organize a trip to India to work at the Avadh School, a school that my grandmother and her women’s empowerment group had set up for underprivileged children. We were able to teach at the school and arrange art and sports activities for the children, and were also able to donate funds that allowed the school to add computers, provide scholarship, and double in size. This was my first foray into international development, and in retrospect, we probably benefited just as much as the children at the school did during that week. At the same time, the importance and richness of the experience should not be discounted, as it ultimately has inspired future efforts by members of the group. For me in particular, this experience was instrumental in the lead up to the founding of SEEKHO. The summer after my junior year, I was brainstorming ideas for improving the Avadh School. While I had a number of ideas for improving the school, like integrating small business into the curriculum in order to teach practical skills and improve financial sustainability, I wanted to get more experience with an existing organization first. As a result, I took the first semester of my senior year off, and worked with the organization Pratham. While working with Pratham, I ended up actually founding SEEKHO. As a result of these efforts, I was asked by Hotchkiss to give a talk on service, which I did on November 7. Being back at the school in that capacity was something I had never imagined doing. However, as I prepared for the event, I thought about Patrick’s talk and about what I had enjoyed about it—that he hadn’t lectured at us, that he showed rather than told, and that he was relatable. As a result, I decided that I wanted to limit my own personal narrative to only 5-7 minutes, and instead, wanted to give the students an experience that would allow them to feel my own underlying beliefs and assumptions. Thus, after giving a talk on my story and on SEEKHO, I organized an activity for the students to do, in which they had to write down a message of gratitude and deliver it in ten minutes. The idea was to show the students the importance of action. We often times make excuses for why right now is not the right time to become a changemaker or to improve our lives in someway, so this was a way for the students to make the world better in just ten minutes. The feedback I received was generally positive, with one girl saying that I was relatable, though there is most definitely room for improvement in terms of finding the right balance between storytelling and involving the audience. In general, though, coming full circle like that was a special experience that I’ll always remember. "What do your parents think about what you do?" These answers are similar to what thousands of parents have answered on surveys when asked this question, and are in line with my own personal goals. Yet, what do our schools teach? While exposure to history may allow you to find your passion, I was finding that that wasn’t the case for me. A dynamic place like Penn definitely provides an opportunity to pursue both simultaneously, but I didn’t feel like my classes were providing me with the tools I needed to identify and maximize my strengths or to contribute to humanity in any tangible way. So I took a semester off in search of an experience rich in meaning. During that time, I was able to identify what exactly I wanted out of my life and what constituted well-being for me: challenging new experiences, deep relationships, and a purpose greater than myself. The exciting thing that I found is that my own experience and understanding was corroborated by the science. PERMA, or Positive Emotion, Engagement, Relationships, Meaning, and Accomplishment seemed to encompass what I had found in my own life. Working on a challenging, but attainable, meaningful goal with many of the greatest people on this planet allows me to pursue all of the well-being goals set forth in PERMA. While my stomach is sometimes upset and India is not necessarily the safest place, I can definitely say that I have found my passion, am seeking to foster and use whatever strengths that I have, and am trying my very best to contribute to humanity through forgiveness, gratitude, lovingkindness, and peace. So, in short, my parents feel okay about what I’m doing. As I write this post, I am sitting in the village of Bishanpur in the Indian state of Bihar, having taken off a semester of my senior year to engage in hands-on learning and research with the educational NGO Pratham in Bishanpur. One dim light, powered by an inverter, is on above me, as the power is out, which it is more often than not. My coworkers have teamed up to make rotis; one is kneading the dough and rolling it into perfect, flat circles, while the other is cooking them on a griddle over a two-foot transportable kerosene burner. In the corner, I see two rats flirting, chasing one another back and forth. Once the rotis are finished, we will put the vegetable curry back on the burner to warm it up; we cannot cook both simultaneously, as this is the only cooking apparatus in the house. We will eat dinner sitting on the floor, using only our right (pure) hand. In the failing light, we will go to bed after dinner, around 9:15 PM - I will climb onto my half of the wooden bed, while my bedmate takes the other half and our other two roommates sink to their tarp on the floor. Between the heat and the mosquitoes, I will probably wake up four or five times tonight, and will be awoken for good at 4:30 am by the words “Allah hu akbar” blaring from the loudspeaker of the mosque adjacent to our room. These material conditions—four people sleeping in a tiny room, with two on the floor, a dirty squat toilet, contaminated water, and irregular electricity—are often cited as signs of destitution. I do not mean to trivialize the complex causes, marginalization, and emotional distress of those living in poverty, as I am an observer who is not subject to their conditions and experiences. At the same time, I cannot help but think that definitions of well being that I have learned in my international development and economics courses might overemphasize material conditions; when I think of my own well-being in Bishanpur, I think of the friends I’ve made, the tasty food I have eaten, and the children I have taught, not my utility as defined by my consumption or the money I have. To achieve objectivity and comparability, these definitions place little emphasis on the subjective, difficult to measure factors of well being, such as quality of relationships, confidence, or dignity. We speak, instead, of per capita income, the Human Development Index, electrification, and utility. The opposing community-driven development model—which portrays poor, rural communities as having perfect information and as ingenious entrepreneurs—advocated by many sociologists and anthropologists, can also be overly simplified; communities with no knowledge of modern medicine, for example, will suffer needlessly from disease without help from those from outside of the community. 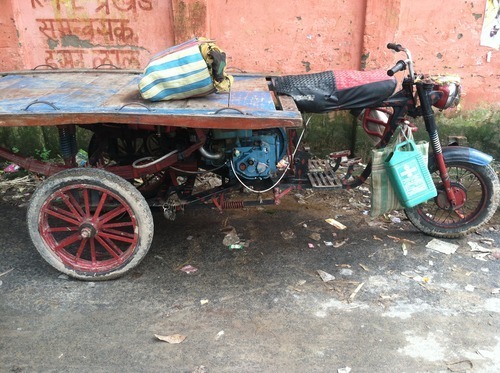 Additionally, although the makeshift engine-powered bicycle-wagons that are common here are a powerful example of human resourcefulness, I have spoken with the bootstrapping entrepreneurs who produce them, and they would prefer more reliable machines. Thus, while the focus may be on including the different voices of the community in the process, large institutions and organizations also need to play a role. What is needed are small-to-mid sized organizations, who have social capital in the community, but who also speak the language of large development organizations. These intermediaries can allow the best of each approach to flourish.